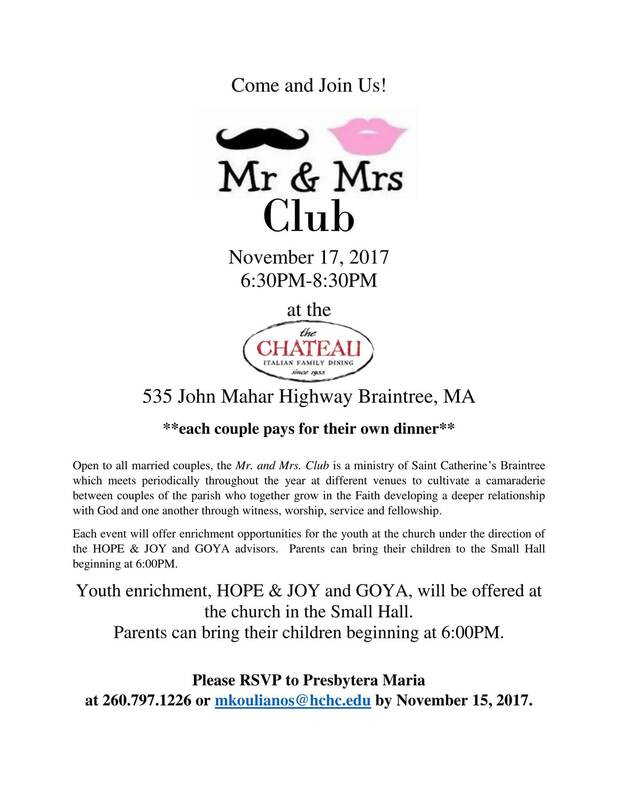 All married couples…come and join us for our new ministry the Mr. & Mrs. Club. Click on the flyer to learn more! Our first event will be on November 17 from 6:30-8:30PM.